MELKSHAM, UK, 18 May, 2018 – Avon Tyres will be showcasing its three main product lines – passenger car, motorcycle and motorsport tyres – at The Tire Cologne, on 29 May-1 June. Avon’s latest and most innovative products will be displayed on stand C-070, Hall 6, together with the British brand’s new style and completely redesigned website. Established in 1885, Avon has a long history of developing, producing and selling high quality tyres. Deeply ingrained in motorsport, the brand is strongly associated with performance. 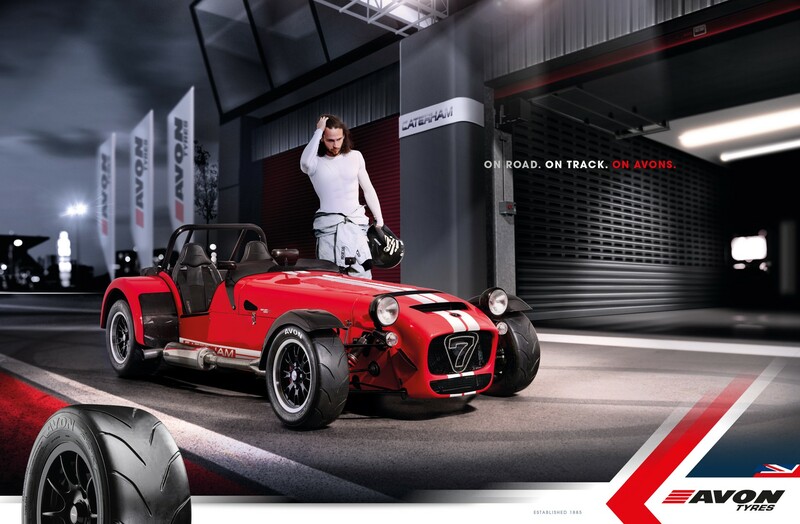 This performance is recognised by exclusive marques such as Caterham, Morgan, Triumph and TVR for which Avon is the original equipment tyre of choice. Avon’s new brand style positions it as a British performance-oriented lifestyle brand with fresh, new imagery which will be communicated online and featured in print media. The new Avon website features an updated user-friendly interface allowing visitors to find the right tyres for their car. After finding the right tyres, the key for the consumer is to find the right dealer via the dealer locator. The new website also offers official distributors the opportunity to create their own customised page to present their services to Avon customers. The website is completely focused on supporting consumers in their search for tyres and ultimately pointing them towards official Avon distributors.